The following are the ten highest money win payouts for Kentucky Derby winning horses. Each payout is for a $2.00 win bet. 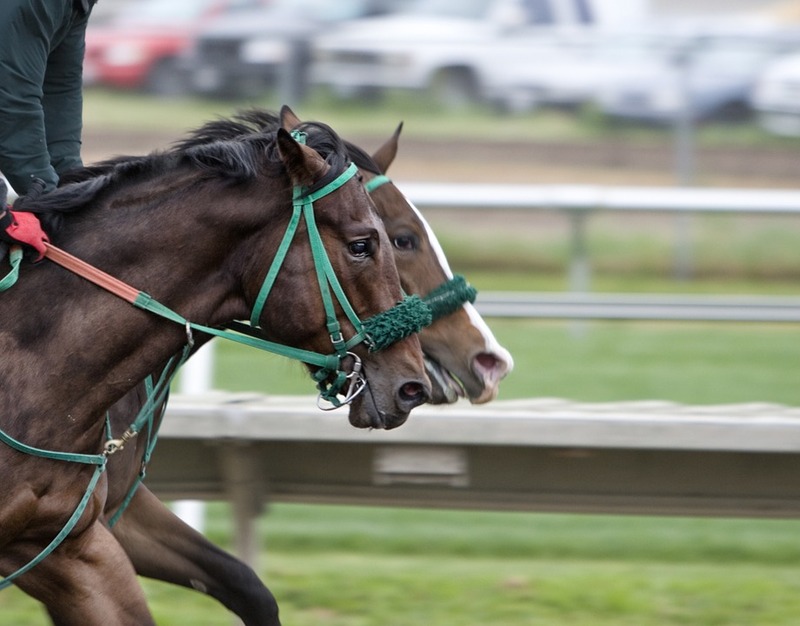 In 1882, a horse named Apollo won the Kentucky Derby and reportedly paid $169.80 for a $5 bet. The chart for the race, though, lists Apollo as going off at odds of 10 to 1. I don't believe there was any official betting on the race in 1882, and the odds were different for each bookmaker taking bets on the race at that time. Apollo probably paid a wide variety of prices for his win. I did not include Apollo below. The highest win payout for a Kentucky Derby winning horse is the $184.90, that was paid out to all the bettors who bet on Donerail in the 1913 Kentucky Derby. Donerail was bred, owned and trained by T.P. Hayes. He went off in the Kentucky Derby at odds of 91.45 to 1, and rallied from 5th to first in the stretch. Donerail also paid $41.20 to place, and $13.20 to show. He was ridden by jockey Roscoe Goose. In 2009, jockey Calvin Borel rallied 50.60 to 1 long-shot Mine That Bird up the rail through the stretch to win the Kentucky Derby going away by nearly seven lengths. The win price of $103.20 to all of Mine That Bird's backers is the second highest win payout in Kentucky Derby history. Mine That Bird also paid $54.00 to place, and $25.80 to show. He was owned by Double Eagle Ranch and Buena Suerte Equine, and was trained by Bennie Woolley, Jr.
Giacomo paid the third highest win price ever in a Kentucky Derby when he won and paid $102.60 in 2005. Giacomo and jockey Mike Smith took advantage of a wicked pace, as he rallied past 18 horses to win. He paid $45.80 to place, and $19.80 to show. John Sheriffs was Giacomo's trainer. The fourth highest win price in Kentucky Derby history came in 1940, when Gallahadion upset heavily favored Bimelech (.40 to 1 odds) and paid $72.40. Trained by Roy Waldron and ridden by Carroll Bierman, Gallahadion also paid $13.80 to place, and $4.80 to show. The place and show prices were low because there were only nine horses in the race, and heavily favored Bimelech ran second. Charismatic paid $64.60 when he won the Kentucky Derby in 1999. Ridden by the late Chris Antley, and trained by D.Wayne Lukas, Charismatic paid $27.80 to place, and $14.40 to show. Proud Clarion paid $62.20 when he won the Kentucky Derby in 1967. Owned by Darby Dan Farm, trained by Loyd Gentry, and ridden by Bobby Ussery, Proud Clarion also paid $27.80 to place, and $12.00 to show. Exterminator paid $61.20 when he won the Kentucky Derby in 1918. Trained by Henry McDaniel and ridden by jockey Willie Knapp, Exterminator also paid $23.10 to place, and $12.40 to show. Dark Star paid $51.80 when he wired the field to win the Kentucky Derby in 1953. Trained by Eddie Heyward and ridden by Hank Moreno, Dark Star also paid $13.60 to place, and $7.00 to show. The place and show bets were low because heavily favored Native Dance (.70 to 1 odds) finished second. Thunder Gulch paid an even $51.00 to all his backers when he won the Kentucky Derby in 1995. Trained by D. Wayne Lukas and ridden by Gary Stevens, Thunder Gulch also paid $24.20 to place, and $12.20 to show. Stone Street took advantage of a very heavy and muddy track when he won the Kentucky Derby in 1908. Sent off at odds of 23.72 to 1, Stone Street officially paid $123.60 to win, but that was for the minimum $5 win bet at the time. His win price for a $2 bet was $49.44, the 10th highest win price ever by a Kentucky Derby winner.